I saw this editorial the other day and found it so refreshing. 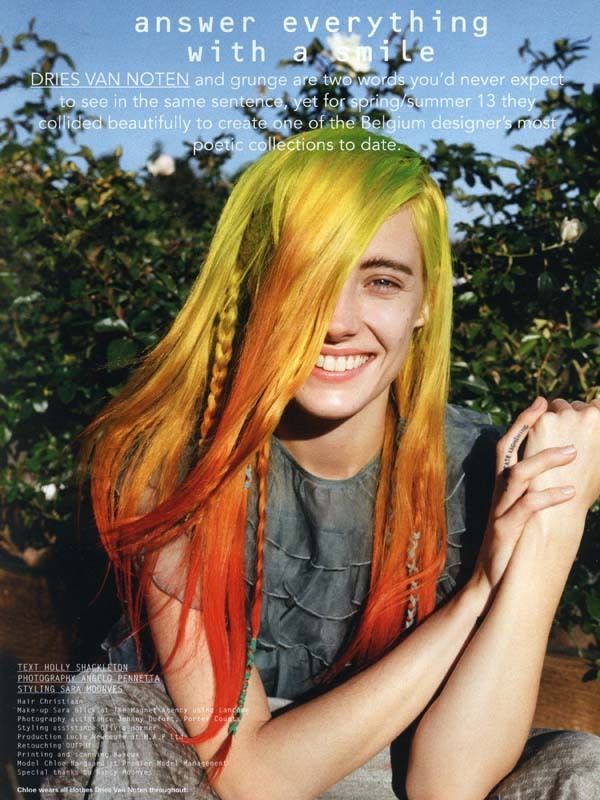 Not only does model Chloe Norgaard pop like popcorn with her rebel rainbow inspired hair, but her smile is so invigorating and she’d decked out in Dries Van Noten Spring/Summer 2013 — drooling! One of my favorite editorials of the season for sure. 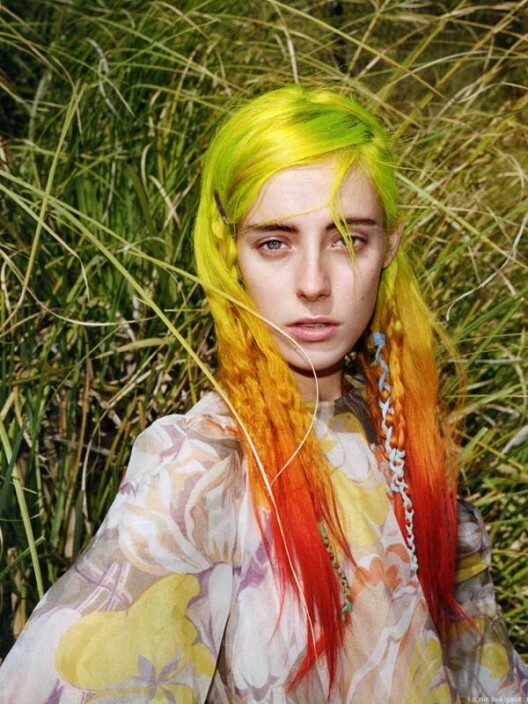 Photographer Angelo Pennetta and stylist Sara Moonves truly work magic together. have never really been into plaids, but wow, Dries is such perfection. I would so be down to get a slurpee with Chloe this summer if she’s in NYC!